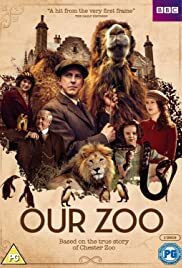 A drama series about the family who founded Chester Zoo in the 1930s. In the Yorkshire Dales in the 1870s, the shantytown of Jericho is the home of a community that will live, thrive and die in the shadow of the viaduct they've been brought together to build. Lee Ingleby plays George Mottershead, a wounded ex First World War soldier left with post traumatic stress. He has a loving family and loves animals. Helped by money from his parents he purchases a manor in the early 1930s and turns it to Chester Zoo but has to deal with some opposition from prominent locals and officialdom. Of course despite the hardship George endures, we realise that he will eventually triumph as Chester Zoo is still going strong and this is inspired by true events. However as with the feature film 'We bought a Zoo' the series is more about the journey, triumphing over adversity and being together as a family. The series also has the feel good factor of exotic animals being introduced to the grim north of the 1930s and allowing the makers to have dimly lit interiors and some two dimensional villains who think George is having a delusional flight of fancy. George might be an idealist and you do find yourself rooting for him there is something rather derivative about Our Zoo. Maybe it wants to channel the success of Call the Midwife but got nowhere near reaching the levels of All Creatures Great and Small and not helped by its grim colours and gloomy mood. A drama about a zoo should had been bright and colourful. 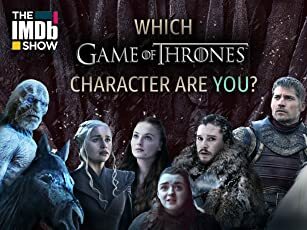 The show never quite took off in the ratings and ended up being cancelled after one series by the BBC. 2 of 15 people found this review helpful. Was this review helpful to you?